Perfect location and ultra sleek remodeled corner unit north of Sunset Blvd, just a few blocks from Runyon Canyon! Walls of glass allow for tons of natural light to float throughout the open floor plan. Have your morning coffee out on the wrap around balcony or the patio in either of the 2 en-suite bedrooms. 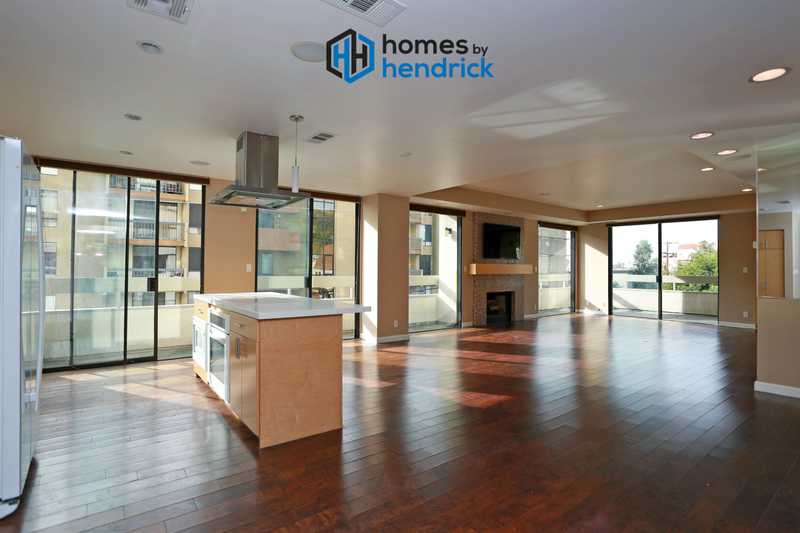 The large living area features hardwood floors, fireplace, wet bar, open kitchen with center island, deep sink, self-closing drawers, pantry, and eco-recycling center. Entertain friends in the sleek dining area with high end lighting, smooth ceilings, surround sound, Milano doors, and custom drapes and window coverings. Mirrored wardrobes, custom closet organizers and modern tile with glass accents in baths. Eco-washer/dryer, additional storage and built ins with shelving. Amazing roof-top pool/spa with entertaining areas and spectacular 360 degree views of Los Angeles. Gated, secure 2 car parking. Half a block from Ralph’s, Coffee Bean, Dining, and more!